Arizona is an amazing place to bike and offers a variety of terrain — stark desert landscapes, long luxurious straightaways, and diversions into lush, mountainous wilderness. However, biking also carries risks. If you or someone you love was recently injured in a bicycle accident, you are probably confused, anxious, and overwhelmed about what to do. Do You Have a “Bicycle Accident Case” Or Not? 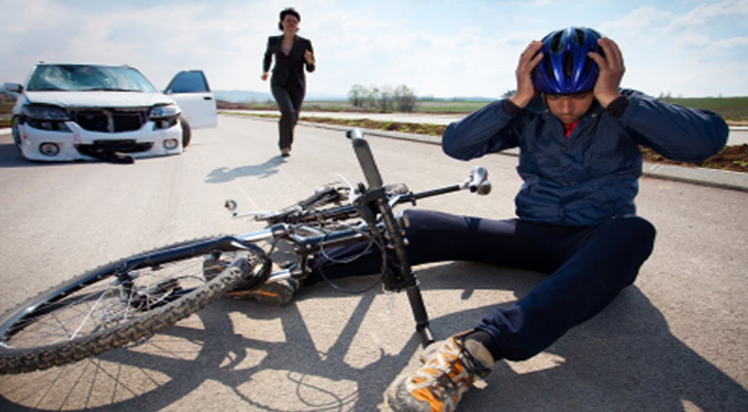 There are three basic steps in determining possible bicycle accident claims:. Some person or party — through negligence, carelessness or other wrongdoing — caused or contributed to the bicycle accident. An Arizona municipality fails to mark a pothole caused by construction work and a bicyclist hits the pothole resulting in an accident. The accident led to real costs and damage to you. A bicycle accident can lead to obvious direct consequences, such as broken bones, lacerations, spinal fractures, head injuries and damage to the bicycle. It can also lead to indirect and long term consequences, such lost productivity or time at work, expensive physical rehab, emotional trauma, loss of consortium and loss of enjoyment of life. The person or party has a way to compensate you. Even if the person or party that caused the crash lacks insurance or assets that you can attach to, you might still be able to obtain compensation. For instance, maybe some other party (such as your own insurance) can compensate you, or perhaps you can seek compensation from another person or party that might have contributed. What Compensation Might You Be Able to Obtain? Medical expenses. This is one aspect of an economic injury you might suffer. The cost of emergency room and other hospital visits, doctor appointments, medication, and any other cost of medical care can be included in your claim for damages. Pain, suffering and emotional distress. With non-economic damages, the question is how much would a jury consider it be worth not to have suffered the pain you were required to endure as the result of the defendant’s actions? And this includes more than just physical pain. Depending upon the facts in your case, damages might include emotional distress, loss of consortium and loss of enjoyment of life. Punitive damages. These are damages that are awarded not to compensate the victim, but to punish the wrongdoer. They are also known as “exemplary damages.” While the amount of these damages should bear some relation to the actual damage suffered, juries are given a fair amount of latitude on the amount of a punitive damage award. In order to allow an award of this type, the conduct of the defendant needs to be considered so extreme and outrageous. Here’s a list of strategies you can use to protect your rights and maximize your chances for justice and fair compensation. First things first, get medical help. If you skid badly, tear up your knees and hit your head, you probably won’t need to be told to go to the hospital. Head trauma, in particular, can be surprisingly subtle. A traumatic brain injury that is not identified and treated immediately can cause swelling and bleeding in brain, edema, and stroke. When in doubt, go to the doctor, follow your physician’s instructions and track your medications and course of treatment. You might also keep a journal of your symptoms. Collect evidence and witness statements from the scene. Pictures of the scene of the crash, including pictures of the vehicle(s) involved and any injuries. Ask witnesses to write down and/or record what they saw, while the event is fresh in their mind. Witness testimony is like fruit; it tends to “go bad” over time, because human memory is notoriously porous and pliable. A direct witness statement given right after an accident tends to be worth more to the court (and to an insurance company) than testimony remembered weeks or months after the event. Avoid discussing the accident with other drivers or with insurance company representatives, until you’ve spoken with a qualified bicycle accident attorney. Stick to the observable facts. Avoid saying things to the driver like “it was kind of my fault” or, alternatively, making aggressive accusations. When insurance adjusters call, remember that insurance companies are not “evil” but are financially motivated to minimize claims and compensation payments. Their tactics to minimize liability can be subtle. For instance, an adjuster might call you while you are lying in bed, still drowsy from a concussion or medications, and ask “how are you feeling?” You might answer something like “better, thanks,” because you’re in slightly less pain than you were the day you were figuratively, or sometimes literally, hit by a bus. You still may be in horrific pain, though. However, the insurance company could use your statement that you felt “better” to argue that you were not hurt all that badly. Those may sound like devious semantics; but, frustratingly, insurance companies engage in tactics like these quite often. An experienced Arizona bicycle accident attorney can help you fight back and protect your rights. Getting the Help You Need You are no doubt dealing with a lot of issues right now, including recovering from an accident and arranging emergency logistics, like getting childcare and recruiting people to fill in for you at work. However, time may be of the essence. Critical evidence from the accident might soon be lost, or witnesses might forget what they saw. Fortunately, Lebovitz Law Group can help you take decisive, strategic steps to obtain justice, fair compensation and reclaim peace of mind.